The datacenter facility location is the key to ensuring the unproblematic performance of your website. 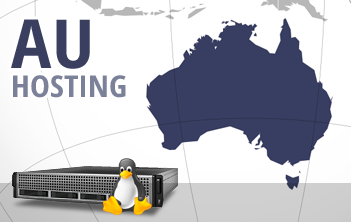 With us, you can make sure that your Australia-based customers will enjoy much faster web site load speeds. We work with a top-class datacenter facility, which is located in Sydney, Australia, and which offers ideal conditions for your web site. You can select the Australian datacenter on the signup form. We'll set up your web hosting account within a few minutes and will provide you with access to our in-house built, point 'n' click web hosting CP. We offer a 24-7-365 client care service and if you are not satisfied with the offered speeds, you can take advantage of our thirty-day MBG.